The Tour AD M9003, designed and manufactured at the Graphite Design Japan factory headquarters is available in 68g S and X flex and 78g S and X flex. 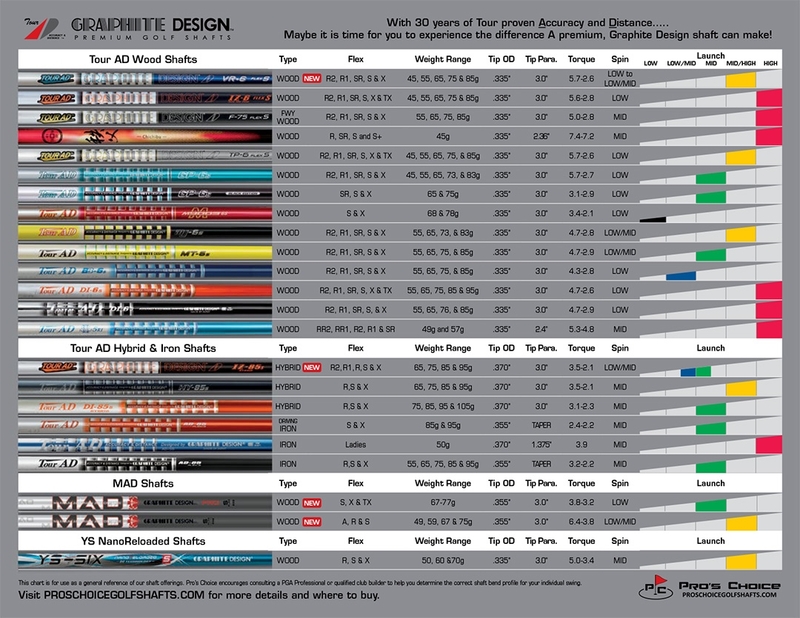 The Tour AD M9003 series exemplifies the ultimate in shaft quality. Manufactured with ultra-high modulus, 55t carbon-fiber and the latest in graphite material from Toray Industries, Inc., TORAYCA ® T1100G carbon-fiber pre-preg with NANOALLOY ® technology, the Tour AD M9003 series delivers the superior feel expected of a high performance graphite golf shaft. Designed with a very stiff tip to mid-section, the Tour AD M9003 model is designed for the lower handicap and tour level players with higher swing speeds of 105+ mph to promote a low/mid launch condition and extremely low spin. 55 ton ultra-premium, high modulus, aerospace quality carbon fiber materials. Designed to promote Low to Mid launch angles with Low ball spin rates.